Synopsis (from Amazon): Grace Palmer's British friends all think she's living the American Dream. But her design business is floundering and when she discovers her husband is cheating with her best client, she panics and flees home to England. The tranquil village of Saffron Sweeting appears to be a good place for Grace to lick her wounds, but the community is battling its own changes. Reluctantly, Grace finds herself helping her new neighbours as they struggle to adjust and save their businesses. However, not everyone has the same opinion on what's good for the village. The charismatic new man in her life may have one speculative eye on Grace, but the other is firmly on profit. How will she navigate the tricky path between her home and her happiness? With gentle humour and generous helpings of British tea and cake, Saving Saffron Sweeting explores one woman's need to define herself through her career and community, before she can figure out who should be by her side. My Review: I enjoyed reading Saving Saffron Sweeting! Favorite Character(s): Hmm. I am not sure I have a favorite character. There were several I liked....Grace, Jem, Amelia, Nancy, Mary Lou. I felt the women really bonded well and supported each other. The comment connector was Grace. They seemed very believable and their relationship with each other seemed very real. Setting: The book primarily takes place in Saffron Sweeting, England. I LOVE England and books that take place there. If I could move to London, I would in in heart beat! Fast read/slow read: I think this was an "in-between" read. It wasn't fast or slow for me. It was interesting enough to keep me engaged. Cover: I didn't really care for the cover - it works with the book, but I would have liked to seen either the cottage where Grace lived, or the bakery. More "England" looking. One (or more) Sentence Summary: Saving Sweet Saffron was a great read. The first chapter hooked me. Even though the topic is not funny (cheating husband) the way it was written was pretty funny. I immediately took Grace's side and was cheering her on to do the right thing. When she goes to England, I loved how she picked herself up and got on with life. I was surprised by who Grace is with at the end of the book. For some reason, I was rooting for Scott-probably because of his life-style. Would I Read Other Books by the Author: Sure would! Meet the Author: British by birth, Pauline Wiles moved to California eight years ago and, apart from a yearning for afternoon tea and historic homes, has never looked back. 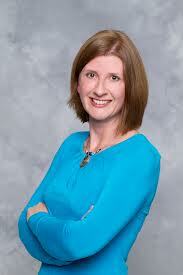 Her work has been published by House of Fifty, Open Exchange and Alfie Dog Fiction. 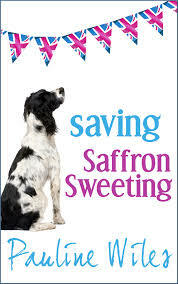 Saving Saffron Sweeting is her first novel. When not writing, Pauline can be found getting the steps wrong in a Zumba class or calculating how many miles she has to run to justify an extra piece of cake. Her ambition is to sell enough books to cover the cost of flying herself and a reader to London for tea. Connect: You can connect with Pauline online, Twitter, Goodreads, Facebook and Pinterest. Thanks so much for featuring the book and your time in reading/reviewing it! The Bad Girls' Club - Author "Chic" Chat! Interview with Author of Vacation!